Heat oven to 350° F. Spray 11 x 7-inch (2-quart) glass baking dish with cooking spray. In medium microwavable bowl, microwave cream cheese and cinnamon topping (from dough tube) uncovered on High 1 minute, stirring after 30 seconds, until softened. Stir until smooth. Unroll dough; separate dough into pieces, and stir into cream cheese mixture. 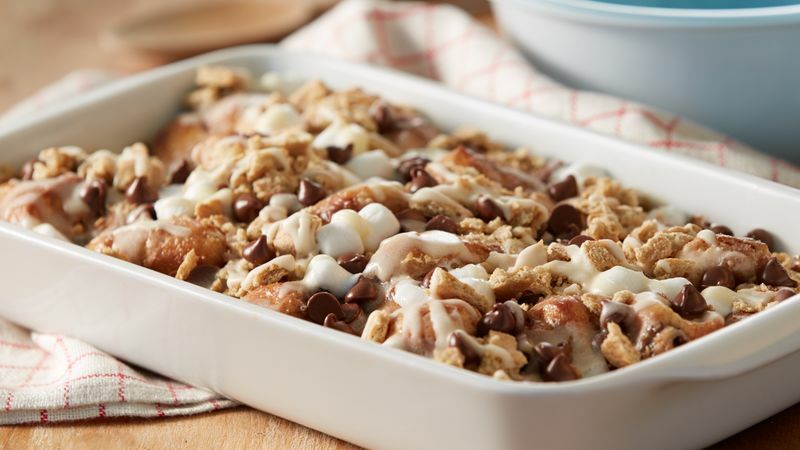 Stir in 1/2 cup of the chocolate chips and 1/2 cup of the miniature marshmallows; spoon into baking dish. Bake 23 to 25 minutes or until dough is baked through and golden brown around edges. Cut corner of frosting package (from box); squeeze half of the frosting on top of warm dough. 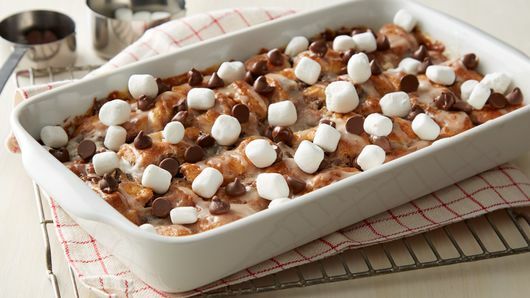 Top with remaining chocolate chips and marshmallows. 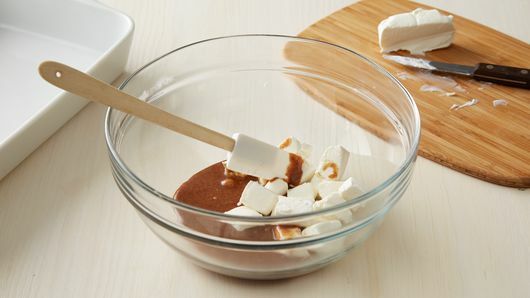 Bake 3 to 5 minutes or until marshmallows are soft. Top with crushed graham crackers and drizzle with remaining frosting before serving. Use both finely crushed and coarsely crushed graham crackers to top your bubble-up bake for a play on different textures. 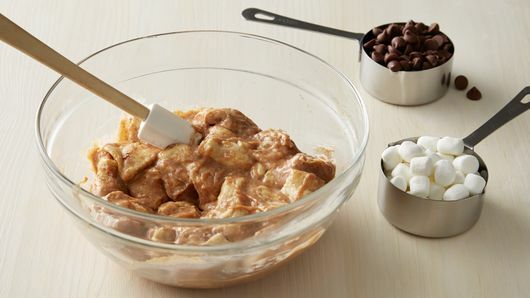 If you prefer more of a “s'mores” look, top with pieces of broken milk chocolate bar before serving.